Copper Center is located on Richardson Highway 4 South on the west bank of the Copper River at the confluence with the Klutina River; about 16 miles southeast of Glennallen on Glenn Highway 1 and 100 miles north of Valdez. Considered the gateway to Wrangell-St.Elias National Park and Preserve, which maintains a headquarters with a visitor Center and bookstore in Copper Center. Population: 370. 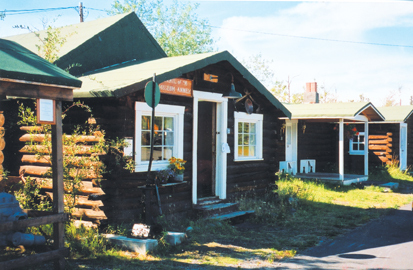 The George Ashby Memorial Museum is housed in two rustic log cabins located next to the historic Copper Center Lodge. The first cabin showcases many historic photographs, documents, items from the Kennicott Copper Mine, treasures from ‘Old Alaska’ and Native cultural items. 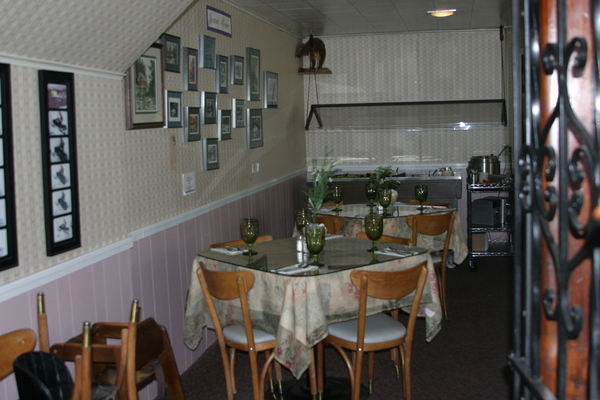 The second cabin is dedicated to the 1898 Gold Rush and is filled with photographs and artifacts of that time period. Within the museum are local hand-made items available for purchase, as well as books pertinent to the area’s history. The Copper Valley Historical Society is a non-profit group of volunteers that operates the museum, which opened in 1984. Museum Hours: Open 7 days a week from June 1 through September 15; 11am to 5pm. Admission is free, with donations welcome. An adjacent historic building known as the Chapel on the Hill was the first church in the area, built by Vince Joy in 1942 with the assistance of US Army volunteers. In 1896, Ringwald Blix built a roadhouse which offered much needed services along the Trail of ‘98 from Valdez, which joined here with the Eagle Trail to the Forty-mile area and Dawson. The Copper Center Lodge was built in 1932 and is now on the National Register of Historic Roadhouses. Historically, Alaskan roadhouses were founded as havens for weary gold miners, trappers and travelers, providing food and lodging, mail and medical help. As services were needed, roadhouse owners responded; stores and gas stations were added and warehouses were built. Eventually, small communities developed around established roadhouses, which became community centers. When lifelong Alaskans George and Katherine Ashby bought the Copper Center Roadhouse and Trading Post in 1948, they honored that tradition of community involvement by focusing on art and education, displaying the work of Alaskan artists in the dining room and lobby. 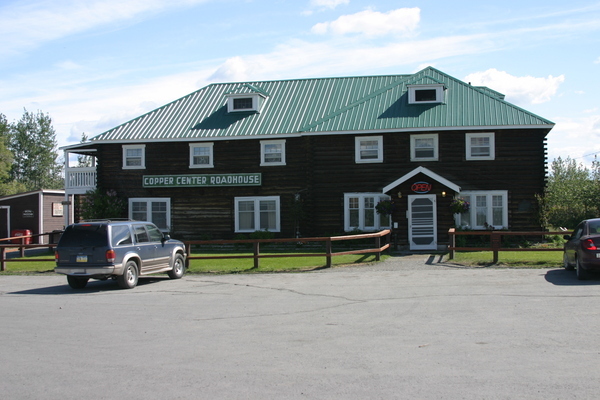 The Copper Center Lodge is now owned by George and Katherine’s grandchildren and the restaurant, named Nummy’s in honor of Katherine, serves homemade fare like excellent sourdough hotcakes and hand-pressed burgers. The Lodge burned in 2012, but remodelling is progressing well and the restaurant remains open year round for breakfast, lunch and dinner. 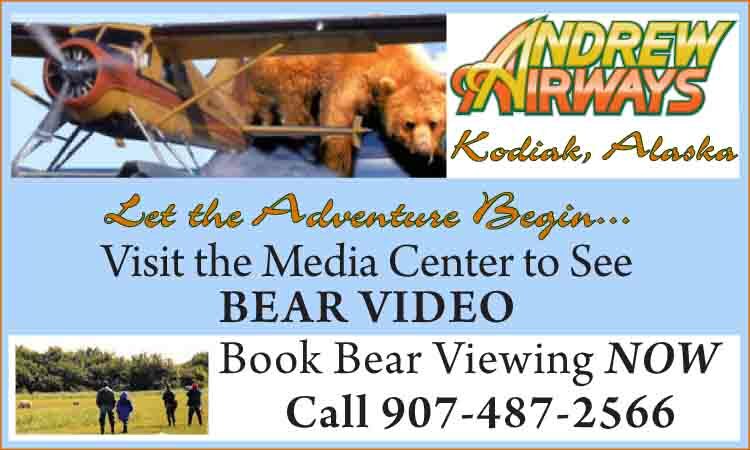 Wildlife is abundant and frequently spotted throughout the area between Glennallen and Valdez. 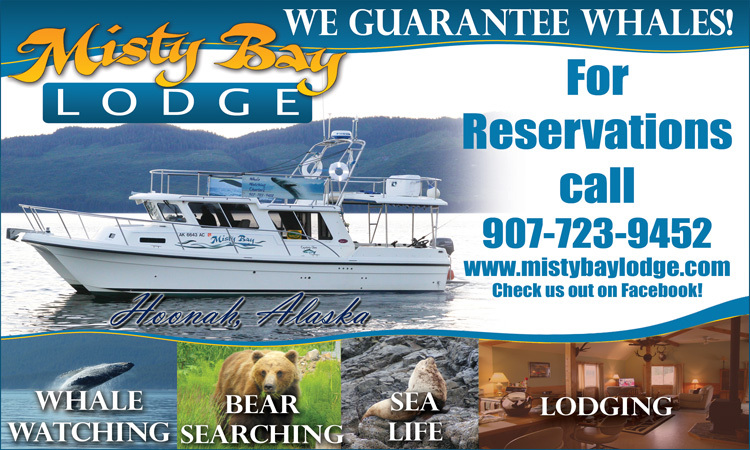 Fishing charters and guides are available in Copper Center. 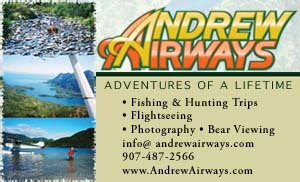 Other services include a variety of food and lodging, fuel, post office, bar and liquor store.